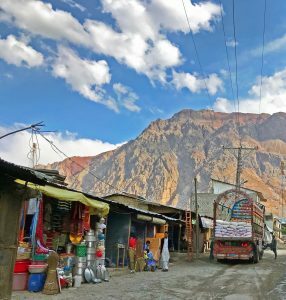 Behavioral Observations: “On the Road Reflections” from the Hindu Kush – Behavior Matters! First, a little background on the trip and the area. The trip was a 16-day circuit through Khyber-Pakhtunkhwa and Gilgit-Baltistan. Khyber-Pakhtunkhwa is the northwestern province of Pakistan and was formerly known as the Northwest Frontier. 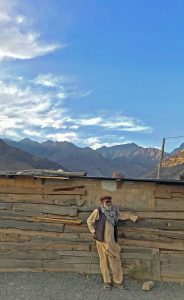 To the west lies the Afghan border, the tribal areas and Punjab are to the south, and Gilgit-Baltistan beckons from the east. 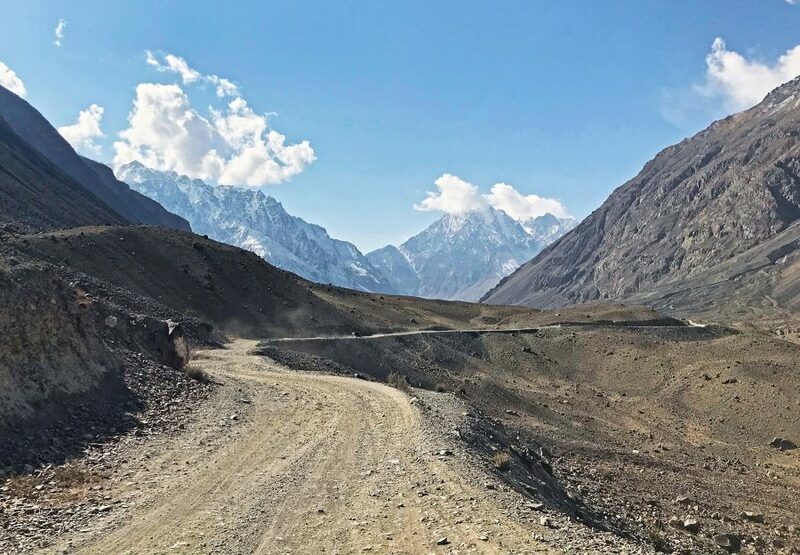 Gilgit-Baltistan is the northeastern province of Pakistan and home to the confluence of the 3 highest mountain ranges in the world: the Hindu Kush, the Karakorum, and the Himalayas. 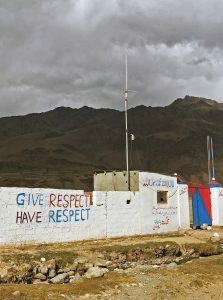 To the north is Afghanistan’s Wakhan Corridor, and to the east lies China. The disputed Kashmir region and Indian border create tensions to the south. This area has admittedly had its share of troubles, yet my experiences on the ground were far from the sensational image we have forged back home. Our group was embraced by welcoming friendly faces, genuine curiosity, and true hospitality. The most challenging part of this trip was letting go of my own predisposed notions, formed by the cognitive biases and heuristics that my environment and that ever-frustrating brain of mine have created. It’s releasing the negative stigmas and embracing the welcoming curious nature of the country and its people. So, what does this all have to do with behavioral science? The mystery of why we see things in a certain light, how we interpret an experience (or lack thereof), and how we react to those experiences and interpretations is all guided by those mysterious principles of human behavior embedded within us all. Throughout the trip, I consistently observed those principles in action. Here are 5 (of many) that I saw and experienced. Let’s explore them together, learn how they impact our experience, and see how they relate to our perspectives of the world. 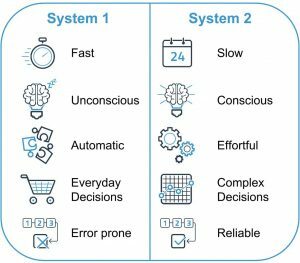 Daniel Kahneman introduced us to the idea of two systems that our brain uses to interpret its surroundings in his book “Thinking Fast and Slow”(1). System 1 operates automatically, intuitively, involuntarily, and effortlessly. It is reactionary and utilizes heuristics, (e.g. mental shortcuts. Learned, repetitive actions, such as operating a vehicle, utilize system 1 efficiently). However, when our brain gets lazy and tries to use system 1 to explain something we are less familiar with, it can lead to inaccuracy – even if we are absolutely convinced we are right. Kahneman states that system 2 requires slowing down, deliberating, solving problems, reasoning, computing, focusing, concentrating, considering other data, and not jumping to quick conclusions. A good example of this would be an in-depth math problem. The cool thing about traveling to a very foreign environment is that you have already primed your brain to be open to new teachings and ideas, admitting that you do not already know everything there is to know about the region. This is not to say that pesky system 1 won’t be running in the background trying to trip you up, but you have created a level of self-awareness that is ready to pounce and let system 2 have its turn to guide you. At home, we tend to revert to system 1 because it’s easy. When dropped into an environment we know little about, however, we are forced to engage system 2. I believe that this is what allows us to be less reactionary and more open-minded to our own biases when traveling. Let’s look at some examples starting with a very simple one: crossing the road. As a relic of the British rule: Pakistan, like England, drives on the left side of the road. Now at home, I barely think when crossing the road. Automatically look left, automatically look right, no cars, GO! That’s System 1. Now, when you place that reactionary thinking into an environment where the rules and heuristics that guide that compulsive action are no longer valid, (e.g. diving on the left), what happens? Well in this situation you get hit by a car. Not fun. Compound this need to go beyond your heuristics due to local laws with the unfamiliarity of your location – where you must analyze your surroundings to try and understand the challenges of getting around. This opens an enhanced awareness of your surroundings, forcing you to engage in it more, understand it more, and analyze it more – System 2! Let’s look at another quick example. If I am at home and in need of a snack, I walk into my corner store, grab what I want from the shelf I know it is on, head to the automatic checkout, and go home. System 1. By the time I get home, that experience was so automatic that I barely remember it happening. Now, I need a snack in a village in rural Pakistan. I don’t know the local foods, I don’t speak the language, I don’t know the customs; do they take cards? How much cash do I need? Oh no I haven’t used cash in years! This seemingly simple task that is taken over by system 1 at home has suddenly become a challenge for me – so what do I do? I engage system 2. I walk in and examine what is available. I don’t recognize the branding on the packages, so I ask someone what they recommend. Is it a local specialty? I learn that mulberry covered walnuts are a local treat, part of a diet that is attributed to this particular valley having some of the longest life expectancies in the world. I find out that the man next to me is the grandson of a former prince, who is working to bring sustainable hydroelectric and solar energy to the region. Had I simply walked in and walked out on impulse, I never would have learned these things. My initial reactionary analysis of the village as poor and under-developed (e.g. unhealthy… again system 1 and heuristics on poverty) was completely wrong. These people are healthier and live longer than anyone I know, and they are working to drive sustainable energy initiatives! System 2 just gave me the opportunity to change an unfair impulsive impression I had made, open my mind, and learn that there is so much going on outside of what we let our brains assume. My need for information to get through the simple task of buying a snack has engaged system 2, peaked my curiosity in the area and sent me down a rabbit hole of learning and discovery! 2. Availability Bias, Availability Cascades, and Theory-Induced Blindness. These three concepts address how the availability of information drives our views, how we make up our mind about things and the impact of our theory based biases. We tend to fall back to the information that is available to us to maximize cognitive ease. If everything we hear about regarding a place is negative, we are impacted by that negative bias and it is hard for our brains to see beyond it. It takes more cognitive effort to see the positives in that place. We also tend to take more stock in information that validates what we already believe than we do in information that challenges those beliefs. Think of it this way – Republicans take more stock in conservative news and Democrats take more stock in liberal news. For much of the West, Pakistan is scary. When I announced my trip, I heard a lot of “isn’t it dangerous?” and “why would you want to go there?”. That was my audience’s availability bias kicking in. I am not ashamed to admit the reputation gave me some nerves prior to the trip too. That was MY availability bias kicking in. 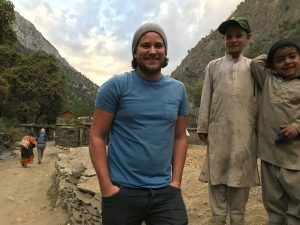 Think about it – even though it’s out there, how often to do you hear positive news about Pakistan? Here’s a fun little example from an article I recently read in Forbes Magazine (2). If I were to ask anyone in the United States which place was more dangerous, Thailand or Pakistan, I am confident the overwhelming majority would say Pakistan. Now, statistically speaking, they would be correct, but they may be surprised to find out about how close of a spread it is. The article looks at two scenarios – the most dangerous countries for Americans to travel based on the total number of Americans murdered, and the most dangerous countries for Americans to travel based on the number of Americans murdered per 100,00 visitors (numbers were for a 7-year spread and did not include active war zones). These are two very different calculations and it is the second one I want to discuss – murders per capita. Please note that this is murders only, not incidents: one of the downfalls of speaking strictly in statistics. According to this list, Pakistan ranked as the #1 most dangerous with 3.54 Americans murdered per 100,000 American visitors (that’s a whopping .000035% chance – less than the % of American’s killed per capita in Chicago!). What’s surprising here though is #2 was the far more popular Thailand with 3.2 Americans murdered per 100,000 American visitors (or .000032%). So, with such a close running, why then do we have such polarized views of these two destinations? Again – how often to do you hear positive news about Pakistan? 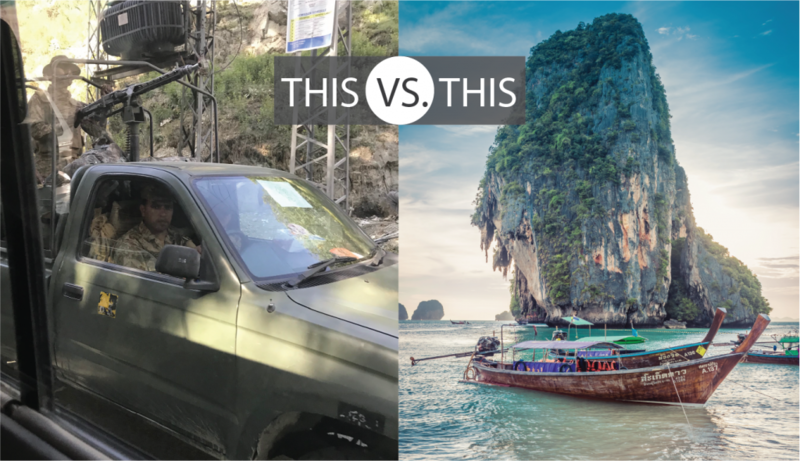 Now think about Thailand: the magazines and travel blogs showing pristine beaches, backpackers posing with elephants, and wanderlust culture at it’s prime. Look back at the image of the military truck versus the beach. Even though the first image does not truthfully represent my overall experience, it adds a negative connotation and paints a false narrative. Compare it with the beautiful water in the picture of Thailand. Let’s try again – another beautiful picture of a boat in Ko Samui Thailand. Daydream for a minute about floati ng in those exotic turquoise waters, exploring the coves and inlets of the bay, and relaxing on the beach with a tropical drink after. Tempting right? I’m ready to go, how about you? 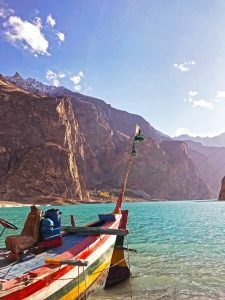 Just kidding, that’s Lake Attabad in Northern Pakistan. You have just been behavioral science’d! Looking at all of this, the availability of positive vs. negative information has convinced your brain, without your permission, to create a bias that doesn’t fully align with the facts. Again – I am leery of statistics as they can be altered heavily to support a specific viewpoint, but the concept still stands. Think about how powerful this is when it comes to marketing! Heuristics, again according to Kahneman, are cognitive shortcuts or rules of thumb that simplify decisions and represent a process of substituting a difficult question with an easier one. Think mental shortcuts and system 1. I would like to introduce a new idea, the concept of cultural heuristics. I would define cultural heuristics as the way in which our culture shapes how we think and how we use it to formulate our views, beliefs, and opinions. They help us define what is right and what is wrong, built on century-old perspectives based on our geographical location, our ethnic background, our religion, our families and more. We can easily be blinded by these cultural biases and often overlook our own hypocrisies. I’m generalizing for simplicity, but our culture helps us define the guiding principles of our surroundings and what is normal. We take these for granted and use them to build heuristics that become second nature. This is why it is so easy to look outward to other cultures and immediately identify what is wrong, what the problems are, and what needs to change BUT to reflect introspectively is so much harder. By doing so, we are questioning our own mental shortcuts and it takes a significant amount of cognitive focus to disentangle those heuristics. This can be said for any region of the world, not just us here in the west. 4. The Power of a Story. A story can have an immense impact on improving a negative reputation through a first-person account. Stories are far more impactful on us than pure data, they feel more personal and elicit an emotional response. Let’s look back at the statistics from the Forbes article. While I am willing to bet many people are surprised by this revelation between Pakistan and Thailand, I doubt it’s enough to convince them to hop online and book a spontaneous trip to Pakistan. I will bet however that the story of a person you know and trust’s first-hand account of a positive, successful, problem-free visit may be more convincing (I realize that may not be me for many of you reading this – I am just a guy writing a blog). While it might still not get you to jump right on and book, I hope that it did open up a new perspective, and someday for some, it may have that impact. Let’s try an experiment, take a minute to read my travelogue summary of the trip and then think about your view before and after reading it. Click here to read it now. We would love to hear your thoughts on the power of a story and do a little experiment to see if you found it impactful. Please email us at behavior@lanterngroup.com and we will send a brief survey. If we get enough responses, we will analyze the data and let you know our findings! Along the journey, I had two profound experiences of acts of kindness from strangers. One took place while wandering around the village of Booni. We were observing a young family plowing their fields when the father bent down and spoke something to his daughter. Moments later she is running towards us with an unprovoked gift – an armful of apples from their tree, given with no other intention than kindness and hospitality. While stay ing with the people of the Kalash there were many similar instances of hospitality, from invites to tea to gifts of locally knitted colored scarfs. Both instances, among others, initiated within me another principle we have talked about in the past: reciprocity. In Robert Cialdini’s “Influence” (3), he discusses the power of a gift and how it can inadvertently invoke the desire to give back or reciprocate that gift, even if there was no intention of such from the gift giver. Having been treated so kindly, I feel the need to reciprocate this kindness through both projecting a positive image of the people and by donating to development projects in these villages through the Wild Frontiers Foundation. Remember this next time you think your actions don’t have an impact on those around you! Thanks for sticking with me! I hope you enjoyed this adventurous version of behavioral science in action. Keep an eye out around you, you may just start to see these concepts in every-day life and start weaving through your own subconscious biases created by that ever-mysterious brain of yours. Check us out here for more info on how we can apply these ideas to your life! Kahneman, Daniel. (2011) Thinking Fast and Slow: New York, NY: Farrar, Straus and Griraux. Cialdini, Robert B. (2007) Influence: New York, NY: HarperCollins. Very cute piece on how behavioural science isn’t just a marketing thing, or an organisational thing: it’s something we all do. Two issues with your piece, 1) stats can’t be changed to advance a particular viewpoint – stats are stats, they can only be presented in a certain way that advances a particular viewpoint. Much like any persuasive device. And 2) your table implies that system 1 is unreliable. Not true. It’s very reliable – so much so that it becomes predictable! Don’t bash system 1. That’s millions of years of evolution that kept your ancestors alive. Thanks Jim! Glad you enjoyed the piece. I️ agree with you on stats – the numbers are the numbers and they can’t be changed, but they can be presented in a way that can be used to advance a particular viewpoint and change the perception of that viewpoint – especially when tapping into the theory induced blindness component. My concern with stats lies in that presentation and the interpretation. If people neglect to look into the factors analyzed to create the statistics it can lead to misinformation. For example, using the same Forbes article mentioned in the blog I️ could say “With 598 Americans murdered, Mexico is far more dangerous than Pakistan with a mere 8”. What that doesn’t account for is the number of American travelers that went to each region; 226,200 to Pakistan vs 71.6 million to Mexico. This tells a completely different story altogether when you break down the % chance of the murder. By withholding information for the reader the narrative changes. This type of manipulation can easily be used to push an agenda if the reader does not take the time to dig into what matters for the scenario. Hence the reason we see such polarized %’s on hot topic issues from, say, the left and the right when it comes to politics – if the way the numbers are presented validate the reader’s viewpoint, why dig deeper to disprove them? This type of action is not always conscious either as we see from the actions observed in this article – our strange irrationalities at work! I️ do also agree that system 1 is amazingly useful and I️ certainly would not want to live my life without it, sounds exhausting! However, predictability and reliability don’t necessarily correlate to accuracy (although in some cases they can). Because system 1 utilizes heuristics over analysis, it is more prone to biases than system 2.